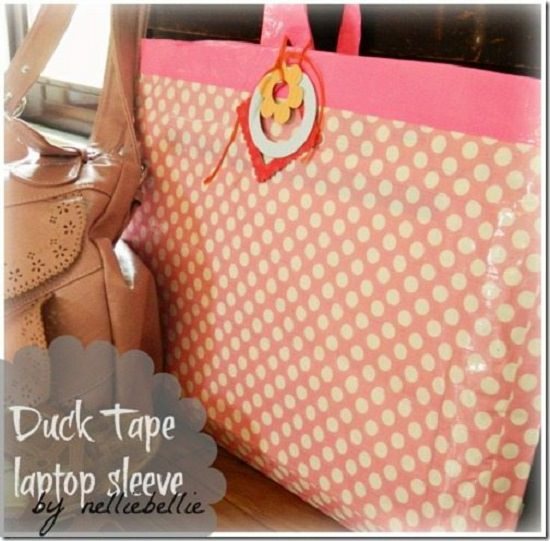 These DIY Laptop Case Ideas will teach you how to make 23 beautiful DIY laptop sleeves and covers all by yourself! 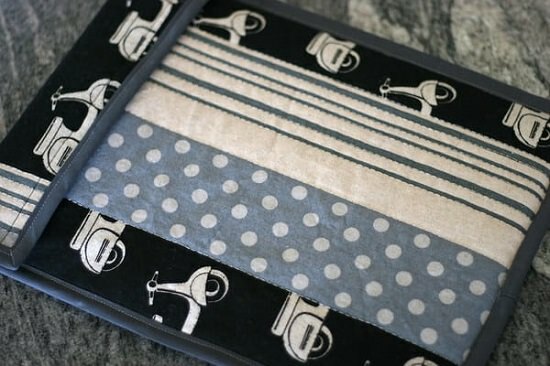 Eye-catchy and easy to sew, this lightweight DIY laptop sleeve will never go out of style. The DIY is here. 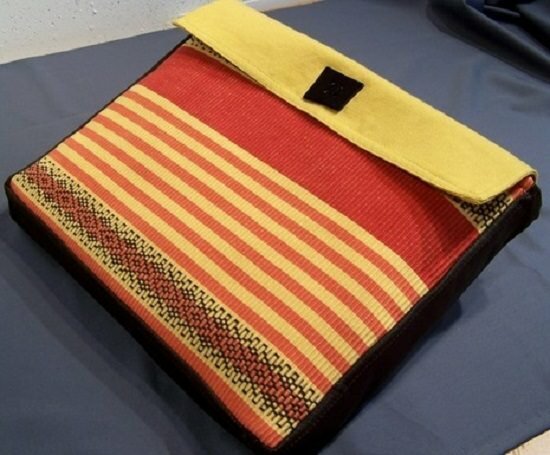 If you like to carry your work with you, this DIY laptop pouch with its advanced organization capacities is the answer. Get the DIY here. If your device could do with some extra cushioning, consider using heavyweight fabric to create your laptop cover as this DIYer did here. 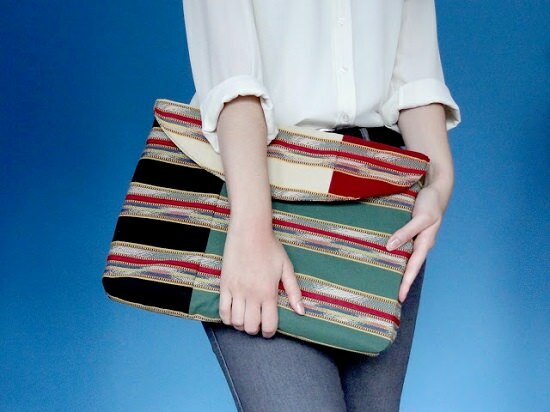 This snazzy padded laptop pouch entails a basic design that requires little sewing and zero DIY skills to start with. Get complete instructions here. This soft flannel cover is a great choice for keeping your device protected while on the move. And the strap ensures it stays in place. Check out the tutorial here. 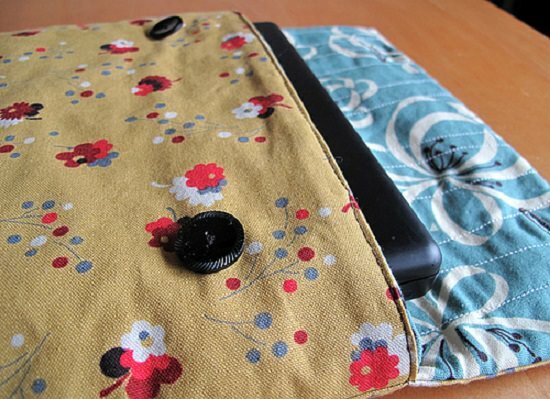 When device safety is always on your mind, make quilted DIY laptop cases as this DIYer did here. 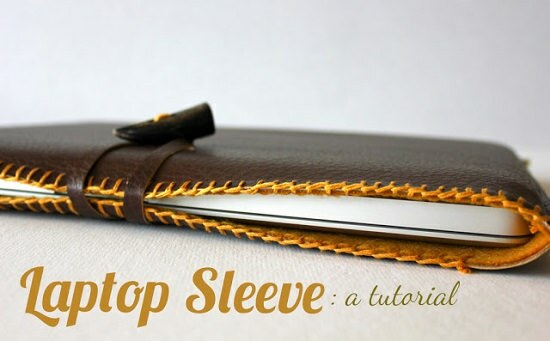 This handmade leather sleeve classes up your work desk and gets done in a snap! Get the instructions here. 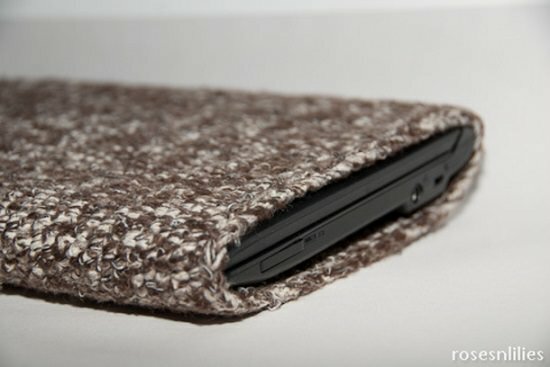 Extend some cuddly love to your laptop with this sweater sleeve that works great all year, not just winter. Find the tutorial here. Try a zip-up closure with a plaid sleeve to combine beauty with a purpose. 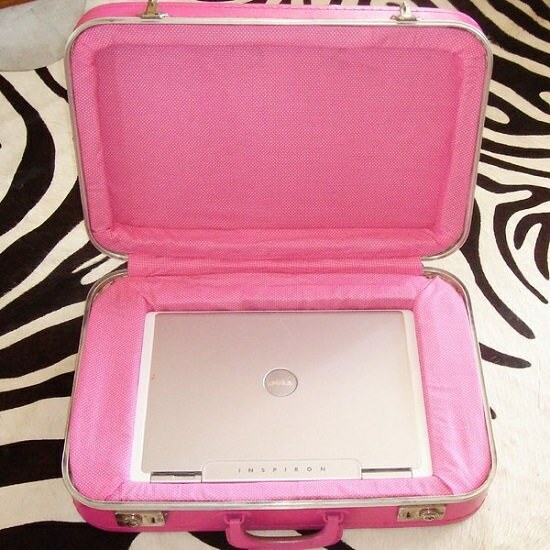 Get instructions for this DIY laptop cover idea here. 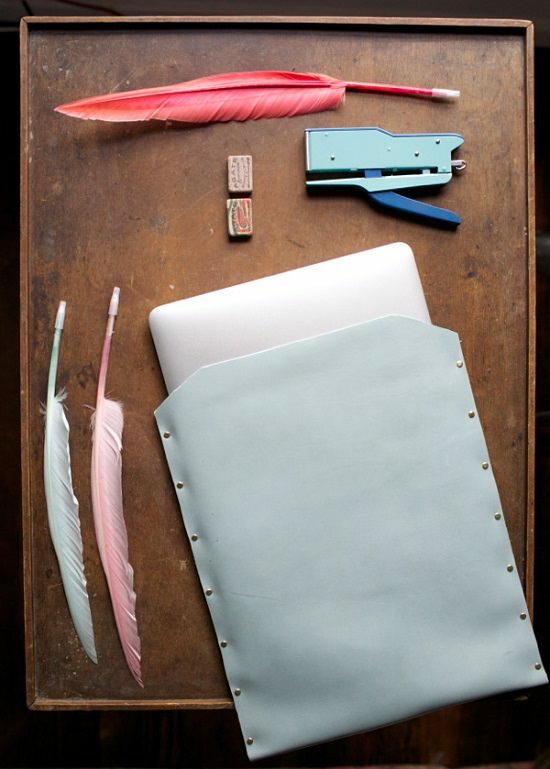 This iterative DIY laptop sleeve opens like a flower and can be customized. Find the step by step DIY here. If your idea of a perfection staycation is propping on the bed with your laptop, we’d recommend this suitcase cover for you here. Hands down, this DIY laptop bag here will be the easiest design you have crocheted ever. 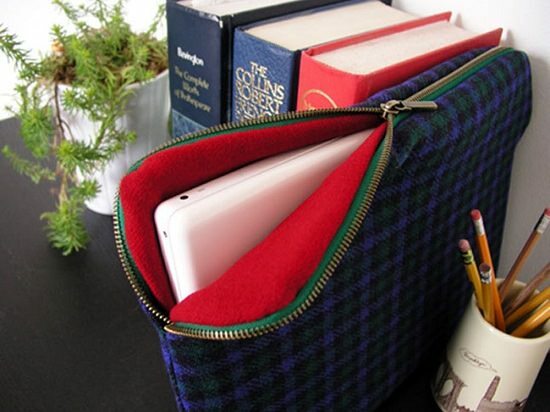 This fall-themed laptop sleeve heralds holiday cheer and shoos away weekday woes. We found the idea here. 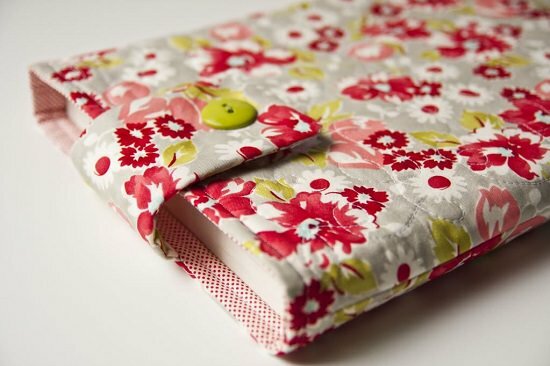 This floral-patterned laptop pouch comes with two closure points for maximum safety. Follow the instructions here. This genius DIY shows you how to revamp your old sportcoats into woolen laptop covers that are just as good as the store versions. 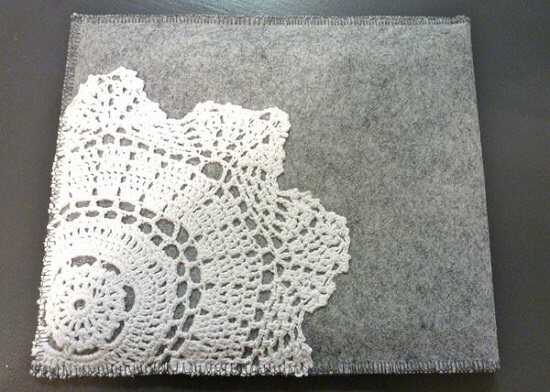 Felted laptop sleeves are a fresh respite from covers that weigh down your laptop and make the whole thing unsuitable for daily travel. 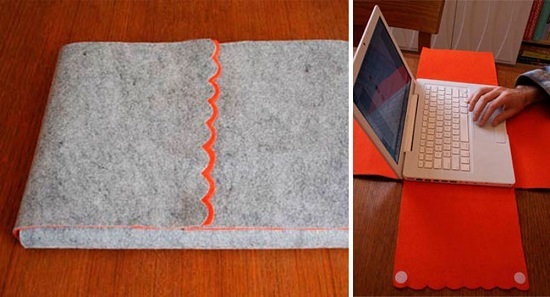 In case you’re wondering, even frayed old towels can be used to create this laptop sleeve. Just follow the link here. Make an iPad case using duct tape, follow the DIY here. 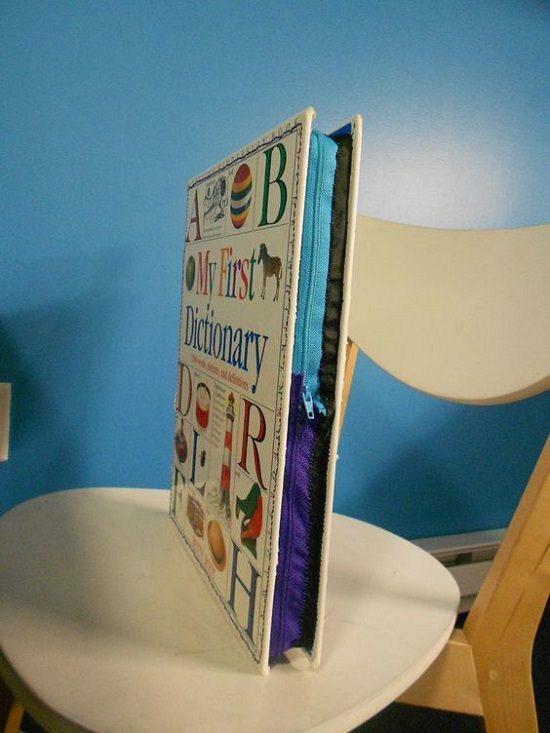 This one-of-a-kind DIY laptop case idea blends easily with your college books, and are sure to attract compliments from fellow students. Click here for more details. A sleek covering for your laptop that is perfect for formal settings. Find the DIY here. If one fabric isn’t sufficient, sew multiple ones together to create a color-blocking or color-contrasting effect, whichever one you like. Learn more at amyalamode. Sometimes asymmetry can be used to create the illusion of space and character, like this DIYer did with their laptop sleeve here. At the risk of sounding sexist, let’s just say that this DIY laptop sleeve is a subtle way of celebrating your male ego. Follow the instructions here.